We are the ONLY Funeral Home in the area that publicly advertises our prices. Thank you for visiting our new website. We are happy to furnish this great tool to share important information of family and friends of our community. Email obituary notifications are available by one click of a button. It is our goal to provide affordable Funeral Services toeveryone. 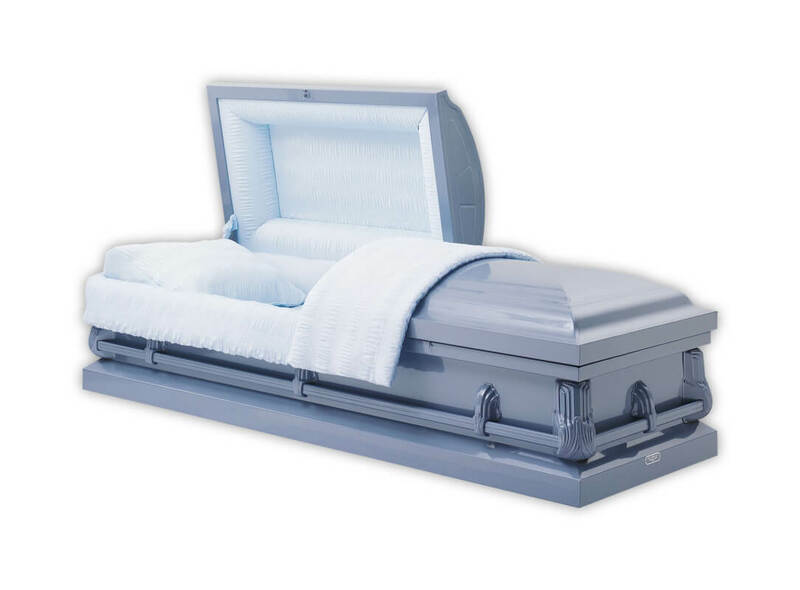 You now have an affordable choice at Powers-Kell Funeral Home. We are a small town, family owned Funeral Home, where we can make a personal touch on your life. We treat everyone the same on every service. It's your final choice, make the plan that you want. Today’s economy is in turmoil and everyone feels the pain of the trying times. We are here to help families in the hardest times of their life. Decisions at that most difficult time are not easy and we are here to assist you. "You Can Never Go Back and Do it Over". Some say it’s harsh to remind you of this, but we know we must. 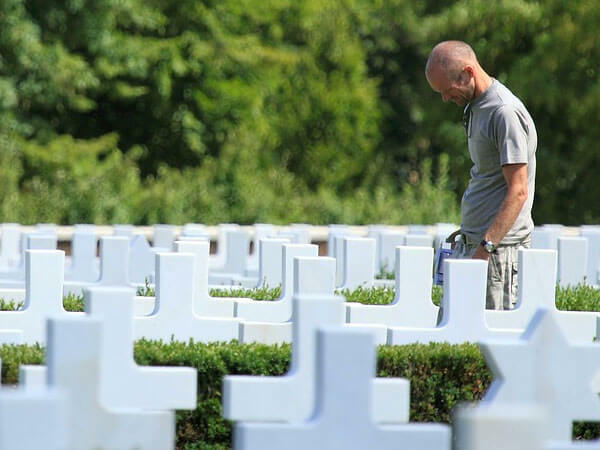 We want you to honor your loved one in a way that allows you to look back, years from now, and be thankful that you did the best you could to honor their life. 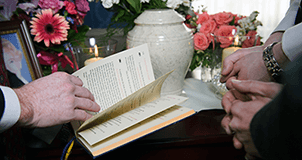 Creating a ceremony that calls together the hearts and minds of all who loved them is a gift to everyone involved. A gift of memories, a gift of healing...a truly priceless gift of peace-of-mind. We are the ONLY Funeral Home in the area that publicly advertises our prices. Our prices are open for your review. There are no hidden costs which you are not aware of. We are committed to serve the Jamestown area and beyond with the most affordable funeral prices. Everyone is treated the same at Powers-Kell Funeral Home. We are here to serve you in the most difficult time of your life. We are also happy to offer Pet Funeral & Cremation Services. You will find our information under the "services" tab and click on Pet Services. We invite you to shop, compare, ask questions and invite you to make an appointment with our licensed staff to review your options. Pre-need plans are available to fit your financial needs. Our phones are always open to you. 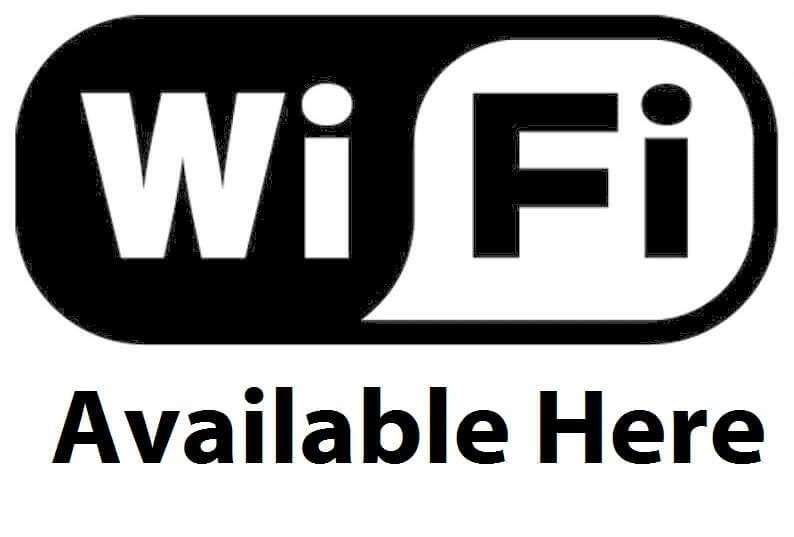 Please allow us to serve you. For the DVD Video Tribute editing, production, up to 100 pictures, equipment, and presentation, a price of $145.00 will be added to your statement if you so desire. This includes 2 original DVD Video Tribute. Additional DVD Video Tributes are available for purchase at $10 each. Our production is "state of the art" produced. You must have a newer DVD player in order for our DVD's to play properly. Keep this in mind when ordering our DVD Package. Our new monitoring system is installed and working. 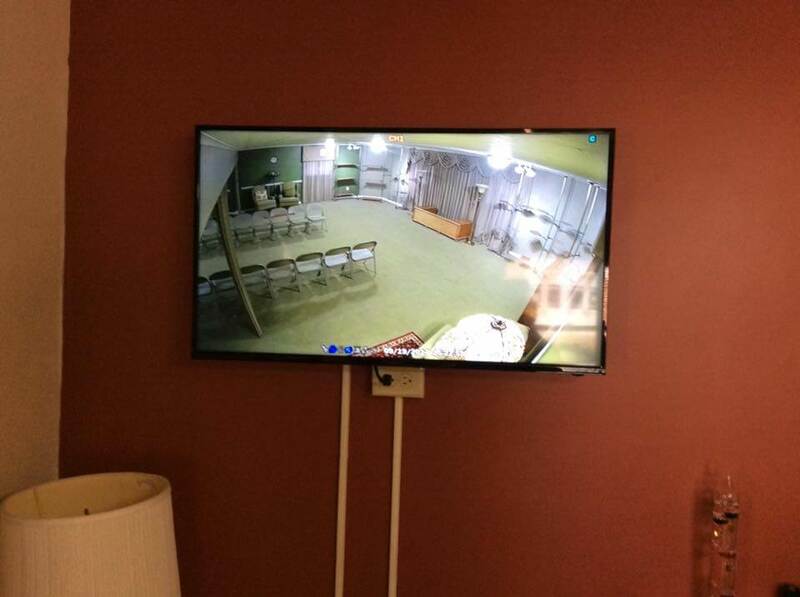 Three color monitors are installed in three over flow rooms ensuring sound and capability for everyone to see and hear a funeral here at Powers-Kell Funeral Home. 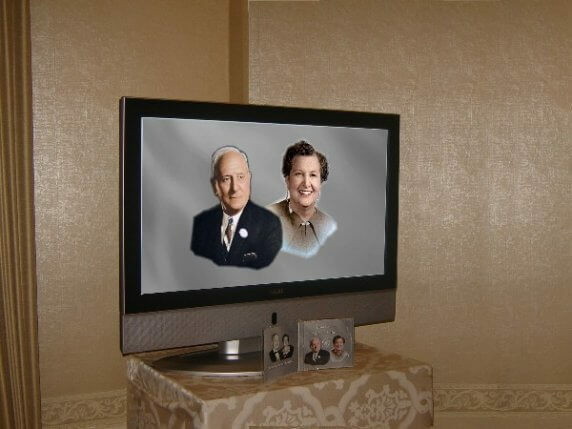 In the photos you will notice that the monitors are aimed at our funeral chapel. Another service we offer at Powers-Kell Funeral Home. 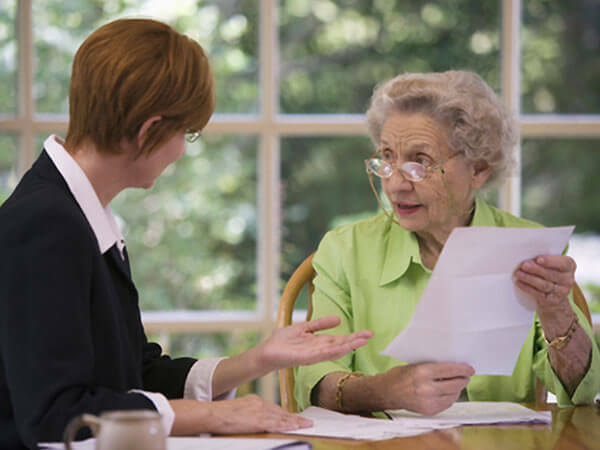 Powers-Kell Funeral Home requires "payment in full" at time of arrangement, unless guaranteed life insurance policy is presented. 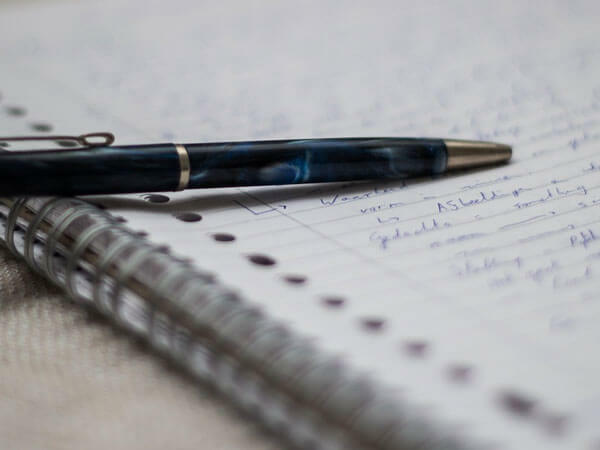 An "assignment of proceeds of insurance form" must be signed at this time making Powers-Kell Funeral Home entitled to receive benefits under that policy. We extend no credit and no cash advances. 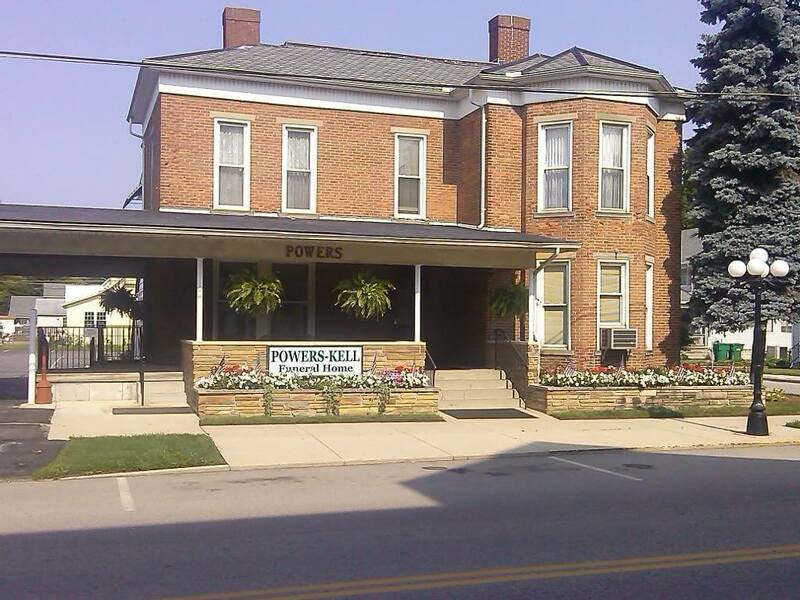 Powers-Kell Funeral Home DOES NOT purchase Certified Death Certificates. Certified Death Certificates may be purchased at the Health Department, in the county where the death occurred. It is the responsibility of a family member to secure the number of death certificates in which they need. Powers - Kell Funeral Home does not manage "GO FUND ME" accounts. If family or friends wish to use this program they will under their own desire. 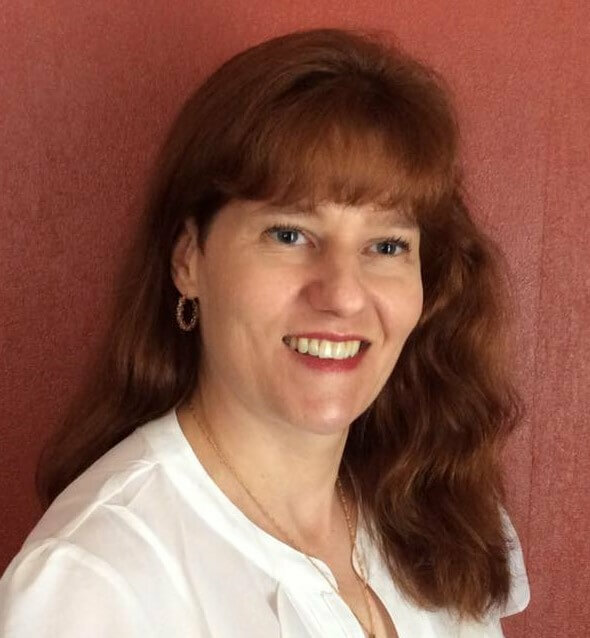 The Campaign Organizer will be responsible to maintain the GO FUND ME ACCOUNT and will be responsible that cashiers checks or money orders are to be made out to Powers - Kell Funeral Home at time of arrangements. We do not accept "personal checks". IT IS ALWAYS THE BEST TO MAKE CASH PAYMENTS TO THE FUNERAL HOME IN THE DECEASED NAME. THE "GO FUND ME" ACCOUNT CAN TAKE UP TO 20 BUSINESS DAYS TO SETTLE THE ACCOUNT. 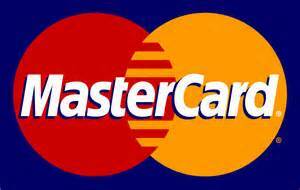 When using a credit card for payment, please notice, the credit card company charges the funeral home 5% to use their service. 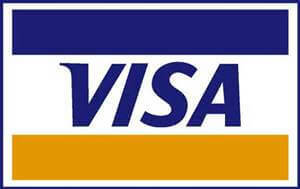 We therefore must add a 5% fee to the bill to cover the credit card fee. Sorry for the inconvenience. Our lowest Cremation Package. No viewing, no service. Temporary Urn included. Please visit our "Cremation Packages" section for more information. NOTE: Powers-Kell Funeral Home does not ship cremated remains by mail. They must be buried or hand delivered to the next of kin. 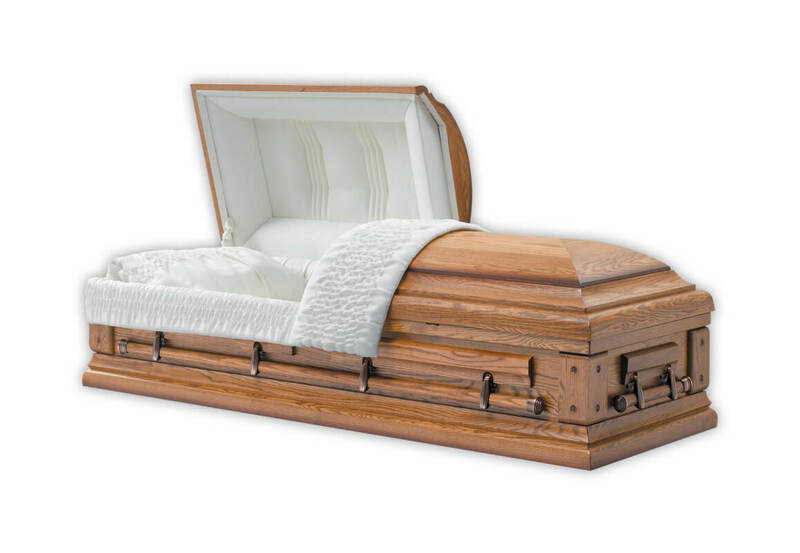 Our lowest Traditional Funeral Package which includes this metal casket. 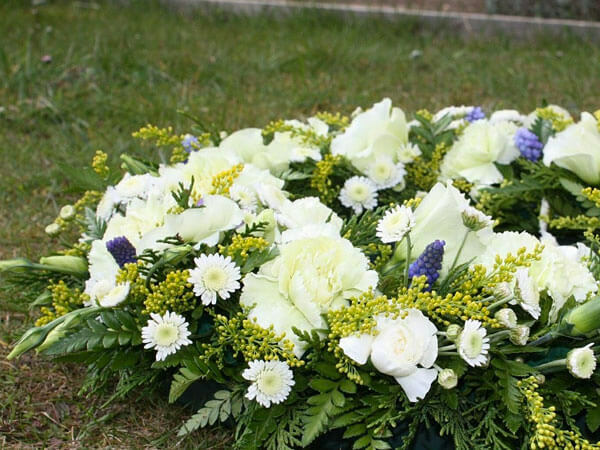 Please visit our "Funeral Burial Packages" section for more information. Our lowest Cremation with Funeral Service Package. 1 hour same day viewing with Funeral Service in our Funeral Home. Temporary Urn included. Please visit our "Cremation Packages" section for more information. Our lowest Memorial Service Package which includes 1 hour gathering with family and friends with Memorial Service in our Funeral Home. 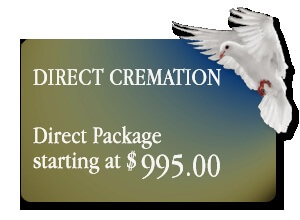 Please visit our "Cremation Packages" section for more information. 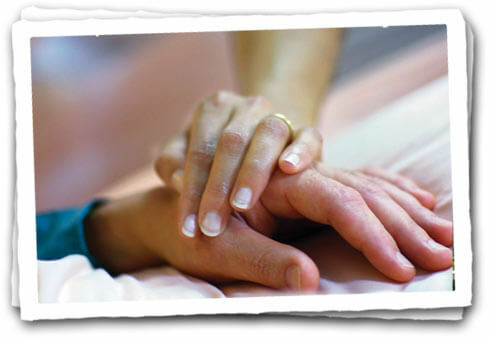 Please consider Jamestown Families Cancer Care for memorial charitable donation. They are local and support the surrounding area. They are dedicated to help the community in the following ways... Gas, cards, groceries, medications, transportation and other financial needs.